A male aged 45 years presented with white discoluration of skin since three years. The lesions were found in left shoulder, neck, arm pits, navel and groins. 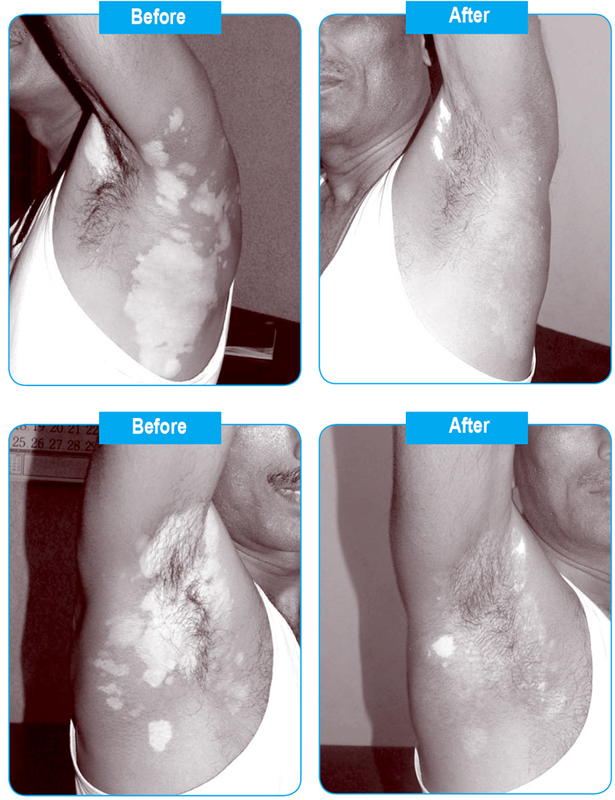 Initially the lesions started from left arm pit, later scattered throughout the body. He underwent allopathic treatment, consulted dermatologist and the medicines and topicals frustrated to choose an alternative system. He chooses homoeopathic treatment on advice and presented the history with ray of hopes. In this case insect bite caused Auto immune reaction, contributing psora syphiliytic changes in epidermal cells and also syphilitic changes. Arsenicum Album was the choice of miastmatic prescription, which gave excellent and complete recovery to the patient. In this case potency of the drug was never changed to act on the dynamic plane without any disturbance even after 10 years follow up.